Taking the elements of our customary taco, with the two tortillas married together with hot cheese. 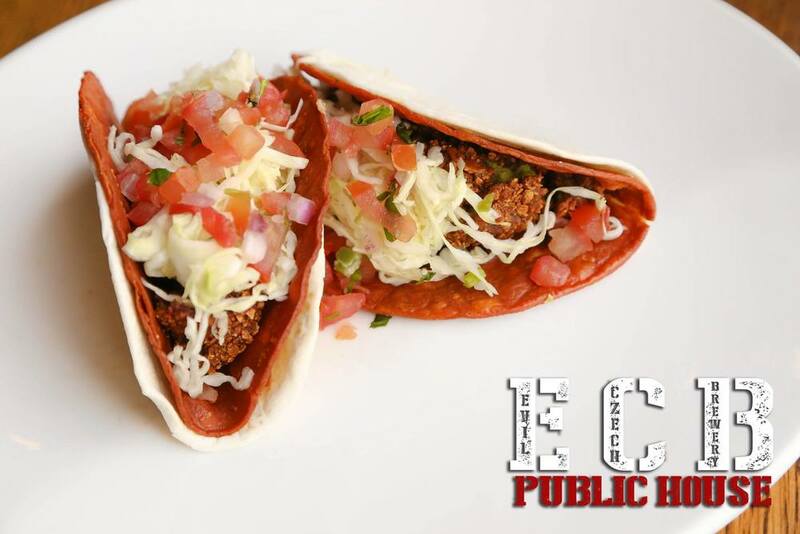 we decided to encompass these well known textural components into the taco without being classically ECB. In doing so, we decided to warm the fresh flour tortilla, fill it with the fried guacamole, and top with a healthy dollop of our house made IPA Cheese Sauce. Cabbage tossed with lime, rice wine and honey and topped with the traditional mexican condiment, "salsa bandera" or flag salsa is then added to finish off this one of a kind taco. We have taken something classically wonderful, guacamole, and taken it to the next level with our fried guac.